Home / Best Practices, Technology, Industry / Who is currently reviewing the artwork? As a project manager in charge of making sure artwork projects are getting done on time, you are constantly tracking the review process. Between email follow-ups, phone calls and weekly meetings you have your Excel tracking sheet all up to date. However, you have just made yourself the bottleneck. Everyone relies on you to know what’s going on with the artwork approvals. Who is it with? When will it get done? Why was it rejected? Why is it taking so long? When can we send it to print? If you are out of office, people feel lost because of lack of information. Wouldn’t it be nice if all this information was available to everyone in a click of a button? No need to update and email Excel files around. No follow-ups to find status. No weekly meetings just to track status. Systems like ManageArtworks do just that. Using a built in workflow template that mirrors your email based approval flow, the system can alert the right people at the right time. It can automatically update the status and send alerts to people who need to take action. It can even send reminders to users who have exceeded their time limits. Everyone logs into a central system to review and approve artworks instead of using email. It provides real-time tracking and up-to-date status. So knowing who is currently reviewing the artwork is as simple as logging into the system and looking at the status of the project. 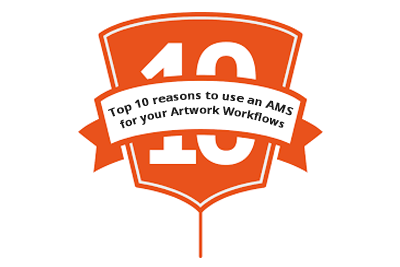 You are now free to take that vacation you always wanted without worrying about how your colleagues will know what’s going on with the artwork projects.